As competition to recruit and retain top talent grows tougher, a growing number of companies and organizations are offering commuter programs as part of their benefits portfolio. Two common phrases you’re likely to encounter include “commuter engagement” and “commuter management.” Many people are under the impression that these two terms are interchangeable, but there are actually important differences between these cornerstone concepts. Commuter engagement focuses on programs that make people feel good about adopting alternative modes. In addition to promoting short-term commuter events like Bike-to-Work Month or Rideshare Month, effective engagement strategies also aim to encourage long-term behavior change. When handled well, commuter engagement results in more people choosing to ditch the solo drive in favor of smart alternatives more often. 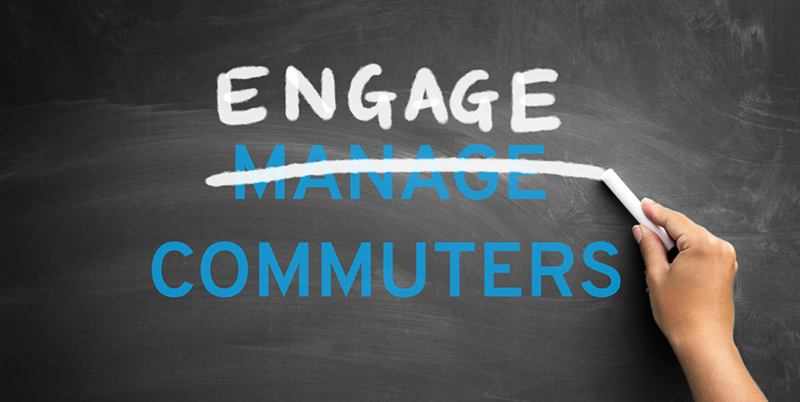 RideAmigos empowers program leaders to successfully manage both commuter engagement and commuter management. Our unique, industry-leading platform includes the tools and programs that make it easy to drive higher levels of commuter engagement. Administrators also enjoy advanced commuter management features and that make managing and analyzing large and complex programs easy, efficient, and fun. To learn more about our solutions, get started with RideAmigos today! Four Things To Watch for at the 2018 ACT TDM Forum in Nashville Congratulations to the 2018 ACT 40 Under 40!